In a letter sent to Tesla, the agency referred to statements made by the automaker "on or about April 10" regarding the crash. Tesla issued statements around that time stating that the driver, Walter Huang, wasn't paying attention. 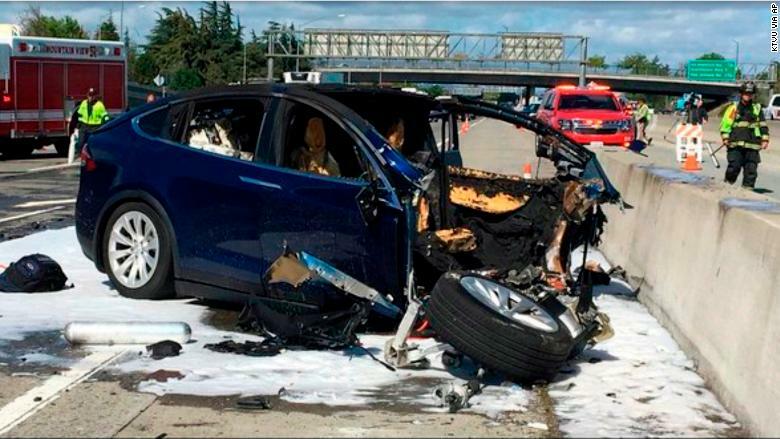 "The crash happened on a clear day with several hundred feet of visibility ahead, which means that the only way for this accident to have occurred is if Mr. Huang was not paying attention to the road, despite the car providing multiple warnings to do so," Tesla said in the statement. The driver was killed while driving a Tesla Model X. The vehicle's Autopilot system was engaged, investigators said. Tesla (TSLA) first posted about the crash on its Tesla.com blog on March 27, few days after it happened. The automaker noted that Tesla vehicles with Autopilot engaged had driven through the same area hundreds of times before without incident.